Fancy Napkin: .Baby Things: Nursery Inspiration. 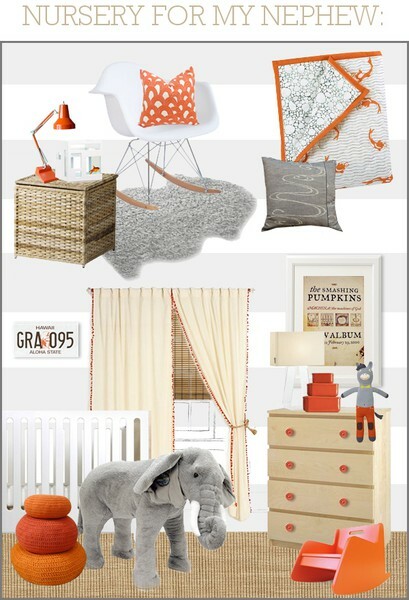 How cool is putting together a nursery?!? I had no idea I would be this excited. It's like all I can think about these days. 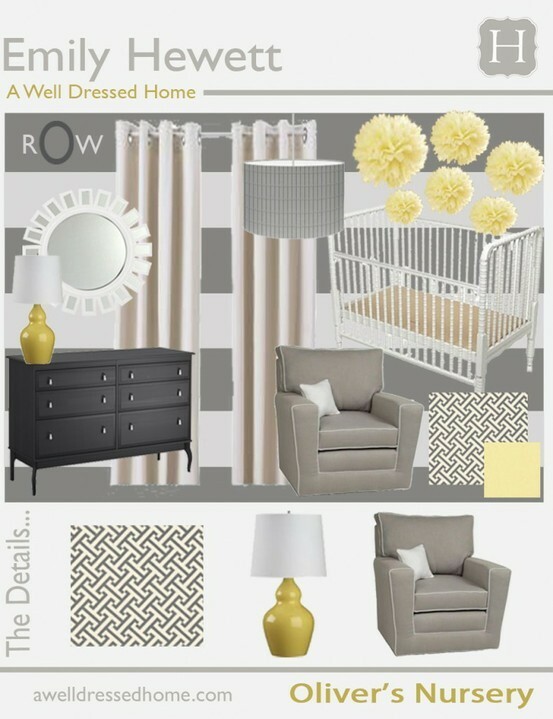 I feel that it's pretty gender neutral [since we're not finding out] and has a vintage-modern feel to it. I also fell in love with orange foxes recently and MUST find a way to incorporate them, without going tacky overboard [in other words, no themes for me]. 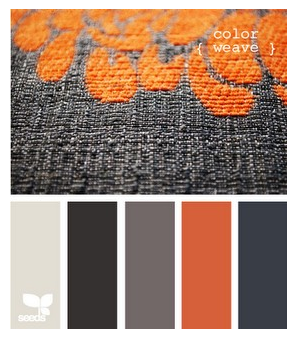 I also love the idea of a pop of color in an otherwise basic color schemed room. So win win win. 1] The most perfect orange knitted throw. 2] The classic sheepskin rug to add warm to a room, without the expensive price tag. 3] A beautiful fresh simple white crib. The perfect baby crib for every room. 4] THE MOST PERFECT throw. With Foxes! This inspired the whole room, no joke. 5] A comfy and modern rocker. Looks good and feels good. win win. 6] The foot pouf. Probably in every nursery, and there's a reason for that. It just looks so cool. 7] A cute piggy bank. Looks cool and teaches little babe to save early on. 8] A fun print to hang in a white frame. And who doesn't love balloons. 9] A modern take on classic fairtales. The most perfect print to hang in babe's room. Perhaps a picture wall of white frames in cool prints? 10] The perfect place to store babe's essentials, and also big enough to put a change pad on top of it. Just need to swap out those knobs for some cool vintage ones. 11] A sweet little orange chubby bird pillow. Cute and cheery. 13] A wall of gold to make the room really POP?!? 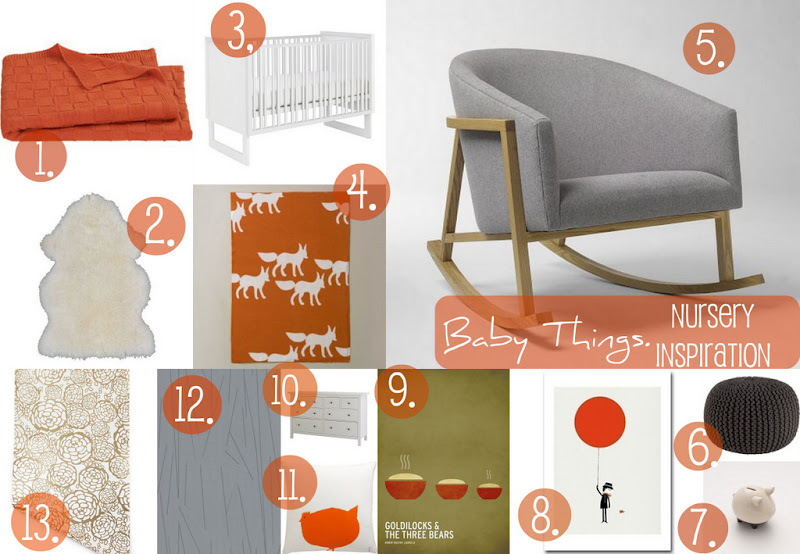 And here's some other lovely inspiration boards that really got my heart pumping. Very cute. But I'm gonna hold my breath on this one lasting through out the summer- I can totally see you changing your mind a million times! Haha! Regardless, the end result will be perfect. Love your views on not going girly pink pr boyish blue- totally would do the same. Happy shopping! Hahaha you are probably smart to do that! And thanks! It's been fun to say the least. I can't wait to see the final outcome. I know it will be fabulous. These are some gorgeous colors you have chosen. So exciting! Aww, thanks Raelynn, but I've decided not to go with decals and stick with wallpaper as a feature wall. Thanks for the offer though! That's sweet of you! I've been browsing on-line more than 3 hours as of late, but I by no means discovered any attention-grabbing article like yours. It's pretty worth enough for me.